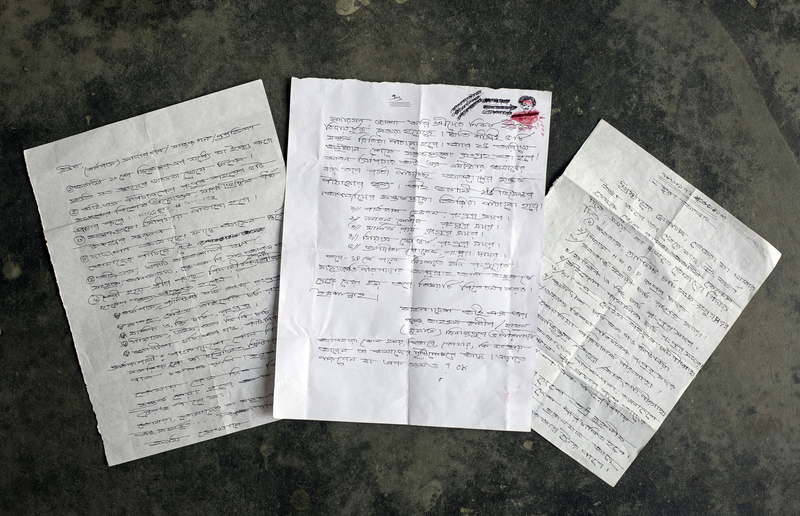 Letters from ISIS that name 10 Christian leaders in Rangpur that was received by a Baptist Revered are seen in Rangpur, Bangladesh. Three letters that were received by a Baptist church in Rangpur read things such as "Hey leaders of Christianity, eat whatever you want to eat, keep it in your mind from now onwards any day, any time or in any moment I will make you disappear. ", and "Our plan is to kill each and every Christian who is preaching here. Our country will be run only by Sharia law. ", and "The director of ISIS needs five heads of Christian missionaries from Rangpur. The beheaded heads will send to Syria as a gift. ", and "Fathers, I hope you already said goodbye to your wives. Five head will soon be sent to Syria. These heads will be collected after festival of 25th December. The ISIS commander from Syria is repeatedly asking for your heads. So your heads will goes to Syria on 26th December."